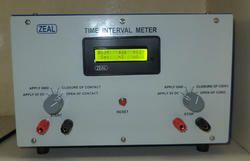 We are the manufacturer and the supplier of the Time Interval Meter available in various specifications. Size 150 x 100 x 100 mm approximately. 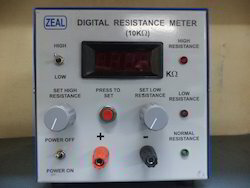 We are the manufacturer and the supplier Digital Resistance Meter. Indication: LED indicator for Low, high and normal (within specification) resistance value. Setting parameter: knob shall be provided to set the Low and High value of resistance.